Join our monthly book chat and this time we will discuss the book "New Confucianism" by Daniel Bell. The CCC Book Club is one of the earlist book clubs targeting expariates living in Beijing and the only book meeting groups focusing on China-related books for the international community. At the CCC's Book Club, participants are assigned a great book to read (or selected chapters) and then asked to discuss its meanings with other book club members, using their own interpretations. 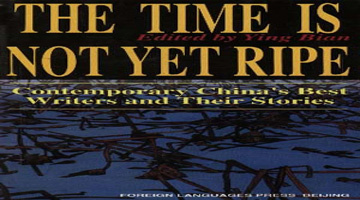 All assigned books (mostly China-related fiction and non-fiction, a mix of classics and modern ones in English or with English translation) are available at CCC library and bookshop or at major foreign-language book stores where participants are encouraged to purchase their own copies. You are also welcome even though you may not have read a single page of the book yet. Just join our discussion! 10:30 am, every third Tuesday of the month. Note: sometimes the date is different because of holidays. So check the monthly calendar for the most up to date info during the month. Venue: CCC Learning Centre, China Culture Center, Chaoyang District, Beijing, China. CCC Booklist: Click here to view the whole booklist of the past meetings. Book Club: "China’s Best Contemporary Writers"
Book Club: "The Soong Dynasty"
Book Club:"The True Story of Ah Q"
Book Club: Laozi's "Tao Te Ching"
Book Club: "Ten Thousand Miles Without a Cloud"
Book Club: "Leaving Mother Lake"